Reservations can be made by telephone, fax, or email. A reservation deposit of 50% of the requested booking time is due within 7 days of your reservation. Final payment is due 60 days prior to your arrival. There is a fully refundable security deposit of $1000. There is a cleaning fee of $300 which covers the cleaning after you check out. Maid service is not provided during your stay. However, this service can be arranged for an additional fee. The property can accommodate a maximum of 10 people. 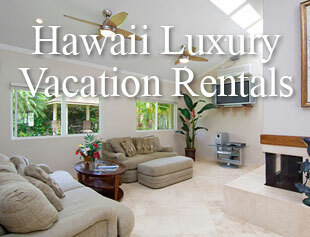 All listed rates do not include Hawaii State Taxes of 11.95%. Due to previous complaints by neighbors, we cannot allow any parties or receptions.